According to the Holy Quran, Allah sent his prophets in all nations and places on earth, before the arrival of Last Messenger of Allah sall-Allahu alaihi wa-sallam. We do not know the names and locations of these prophets. However, Imam Rabbani Shaykh Ahmad Sirhindi, the great Mujaddid of the second millennium of Islam, saw the Noor (light) of such dignitaries and found a place where a few of those great prophets were buried. It was a mound close to the town of Sirhind, in Indian Punjab. He would often go there and pray Nawafil. However he never pointed out the exact location of the graves, neither he told their names, though he clearly knew it from the knowledge bestowed on him from Allah. According to one source, the place was occupied by Sikhs who recently started digging it up to build a Gurdwara. They felt a strong smell which was sweet but too strong. They called the Muslims, who, realizing it was the location of the noble graves, requested to return the land. It was returned by Sikhs and the Muslims then surrounded it with a compound, and built a mosque and madrasah with it. Some legends say it holds nine prophets and four Sahaba. I have not tried to confirm this from reliable sources. 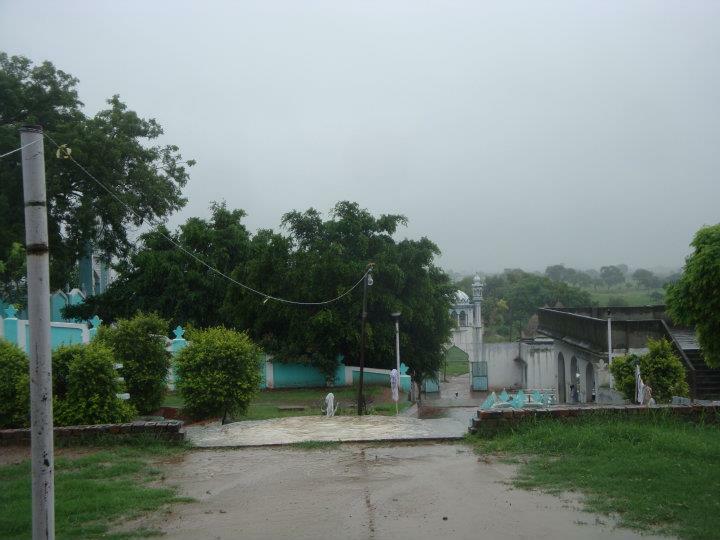 The exact location is: Baras Village, District Sirhind Sharif, Punjab, India. Following are the pictures from that sacred place which holds the graves of some of the prophets of Allah sent to the ancient Indian people. The gate to the holy compound that holds the noble graves of some of the prophets of Allah sent to the ancient Indian people. 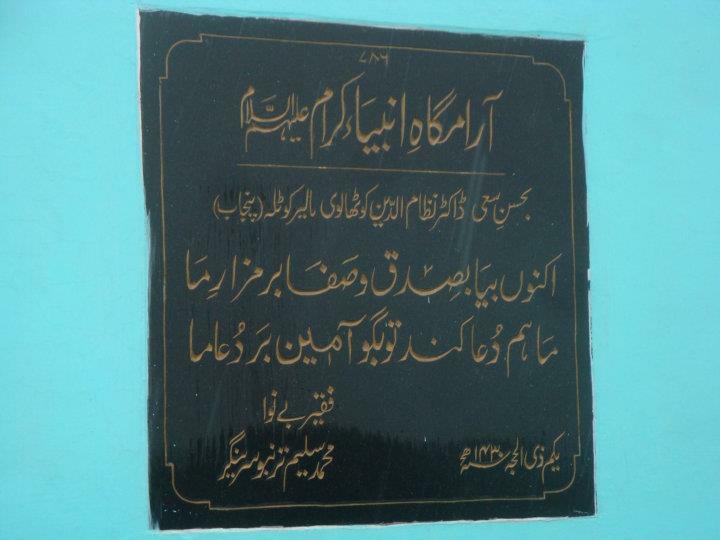 The board mentions “Aramgah-e Anbiya-e Karam”: the resting place of the holy prophets. 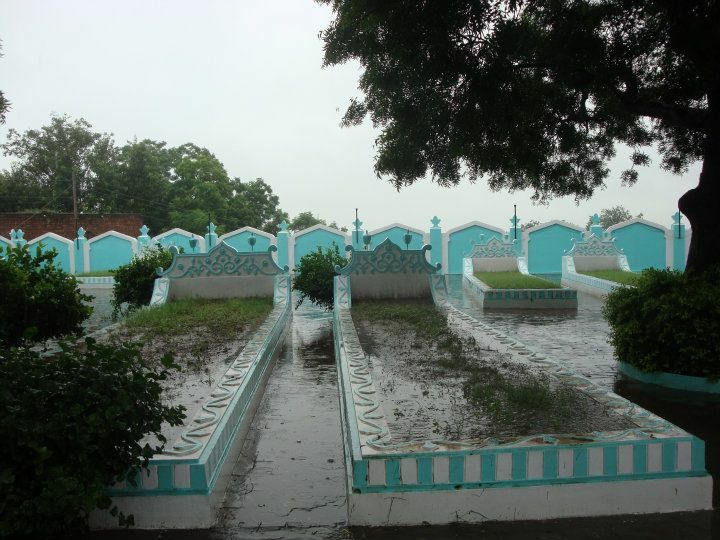 The sacred graves of some of the prophets of ancient India. This entry was posted in India, Uncategorized. Bookmark the permalink. siraj bhai kia village walo ko b naam nai pata jo puranay log hain..? The name of the village is Baras, in Fatehgarh Saheb District. 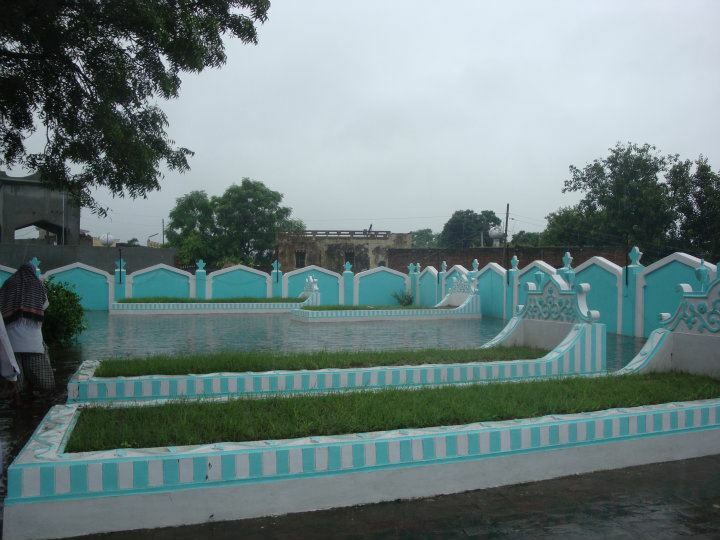 Baras is 17 kms from Sirhind Sharif about 50 to 60 minutes journey from Sirhind Sharif, Punjab, India. 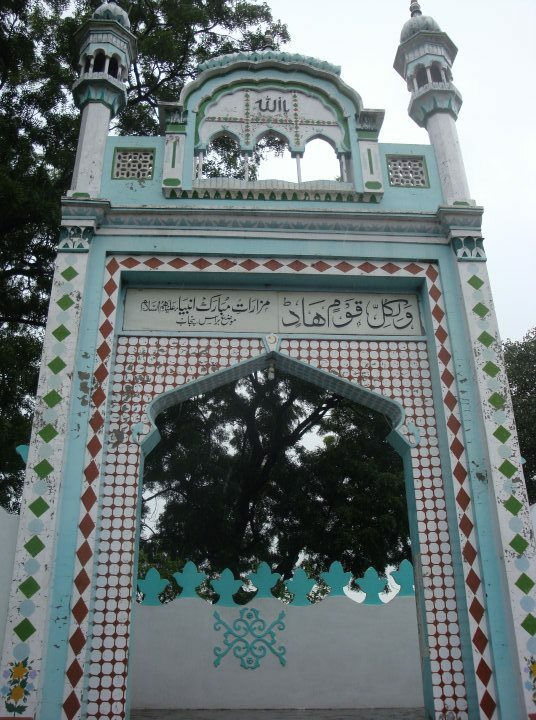 Please upload photographs’ of Hazrat Imam Rabbani Mujadid Alf Sani’s Parents’ shrines…. As these shrines are also located in the Baras, near to Prophets Graves. Mujadded al fesan eman mujadded al fesan eman,hamara keblaye dhojahan ,bangladesh may yea mohan awlia,allah ka rahmat Hazrat Mojsdded alf sani (ra:) ka bahut vakt onusari hay.aj vi hamlok unko ushela karke allahse daya mangti hu. It is so pleasing to know the wonderful gesture by Sikhs, who returned the land, when they realized it belongs to prophets. may god bless them all. YES! May ALLAH Subhánahu Ta’álá bless all those Sikhs who made that beautiful gesture with the Treasure of Imán (and their generations and generations to come) … Ámeen! It is our faith that Hazrat Mujaddid Alf Sani,Shaikh Ahmad Sarhandi(Allah be pleased with him) knew all about the Prophets sent by Allah to Hindustaan. There may be a thought behind not disclosing this knowledge to common people as the majority of Muslims do not visits these holy places of Prophets and sufis according to the teachings of Islam.I pray to Allah for His mercy and guidance . Aameen. Assalamualaikum. I verify they are graves of Prophets (As). When I was in Hajj in 2000 .. I sat in madina & prayed to Allah to show me a sign and I saw a dark green light and had a feeling .. I saw the same light in my visit to Baras in 2011 , the same feeling .. There fore i am certain that the graves are of Prophets (As) sent to this subcontinent .. Wa Salam ..
Holy Prophets of ALLAH SWT. I am not a pious person but ALLAH had gave me indication in dream with the resting place of Holy AbuBaker Siddique(RA). When I set in Holy kaba at midninght at my young age many years ago, I heared Children Takbeer with sweet voice but went out there was none & immediately I saw afterwards people who may have been holy angels:started assembl;ing around Holy kaba with Holy Angels & I ran to join them. ALLAH SWT knows the best. Thank you for giving the information. Pray for me & my family. Badruddin ahmed & Family. England. Oh ! Earnest and deareat mujadded, salam , salam and salam to You from the core of my heart from a remote corner of Bamgladesh. I have nothing to say only You are geat,greater and the greatest of all . Please reach Chandigarh,India. You may reach here by rail or airways via New Delhi. If you come by rail, you will reach at Chandigarh railway station. If you come by air, you will reach at Mohali Airport. Take a cab where ever you reach to Sector 43 Bust stand of Chandigarh. There you will find buses going to Sirhind after every 30 minutes. (Fare is 40-60 Indian rupees (Equivalent to 01 $ USD). Hire an auto rickshaw and ask him tyo take you to BRAS Village (or say PIND BRAS). This auto rickshaw will charge you approximately 300-350 rupees (equivalent to 5-6 USD). He will drop you at the mosque. There are graves in the compound. I am sure you will love the place and will cry with happiness mixed with emotions. They are our prophets. You know, the prophets of our Allah. If someone still needs help, please write to me at rehantech@gmail.com. I am a researcher. If a group of comes and can not speak Indian local language, I can take out my one day out of my research schedule to be your guide, just to please ALLAH. I JUST RECOGNIZED A KASHMIRI NAME FROM SRINAGAR ON A PLAQUE ON ONE OF THE GATES TO THE SHRINE. I Have passed through Punjab GT Road in a bus from Delhi to Srinagar via Phagwara and Jullundar a number of times. I guess this place a bit from the main from Delhi to Pathankot. If we muslim wants to show archelogical Evidence That our Fore Fathers came to india Before Mughals, How can we Get certification of the fossil for the exact Date or year, Today in the Scientific Era We have To generate Scientific evedence to prove our Words. please Also Try to Write Articles on this history of these prophets in India, After completing your research on these Discoveries.